In NSW and South East Queensland, electricity meters are typically read every three months (but you might already know that)! 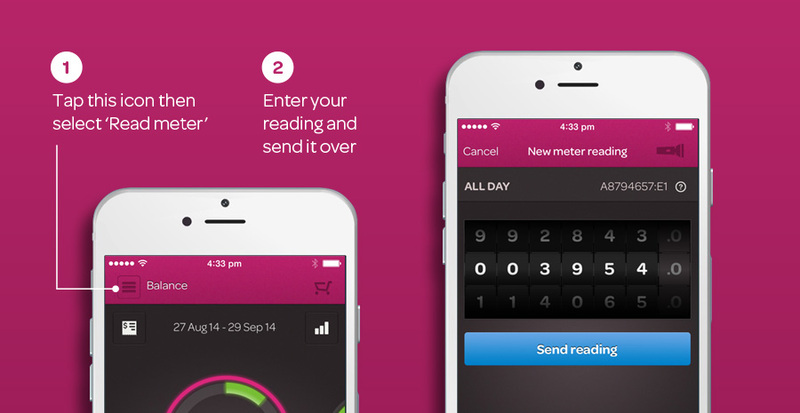 You probably also know that one of the great things about Powershop is that we bill every month. We think this helps provide you with greater control over your energy spend and reduces the chance of you receiving a nasty big bill every quarter. Enter your own meter reads. You can do this as often as you like, but to get the best estimate, pop in a reading at least once a month. Entering your reads more frequently will allow you to track your energy use and help make those changes that can reduce how much you spend. A little bit of effort can put money back in your pocket! Readings are really easy to enter by using our smartphone app or website. This gives you a better idea of how much electricity you’re using, which can help you make small changes to allow you to use less, and SAVE money. We will always do our best to make your estimate as accurate as possible even if you don’t enter in a meter reading. If for any reason you think we got this wrong, just give us a call and we will fix it up. Information on how to enter your read is shown below, but if you need a hand on how to read your meter check out our FAQs, or give us a call on 1800 462 668. If you’re using the app, simply head to the hamburger icon (the three horizontal lines in the top left of the screen) and select ‘Read meter’. This’ll open up a page where you will be able to enter your read on a dial. Once you have submitted your read, the app will confirm your revised estimated usage considering the new info you’ve provided. If you haven’t read your meter before or you’re not sure how, click on the (?) icon for detailed instructions. There’s also a handy torch feature at the top right of the screen so you don’t have to go scrambling around in the dark to read your meter. Entering your own read through your online account is just as easy. Once you’re logged in to your account, head to your ‘Usage’ tab, select ‘Meter readings’ on the left hand side, enter the read details and hit save. Any changes to your actual or estimated usage will be updated in your account straight away.